It's that time of the year again! 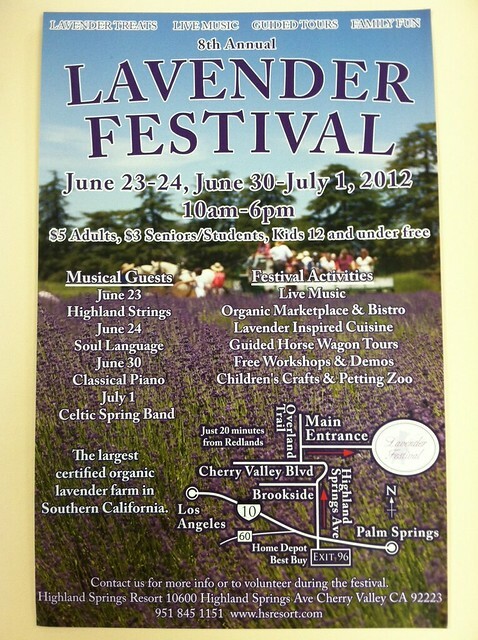 Lavender Festival 2012 - I love love love this festival! The Lavender Festival is a mixture of delicate scents, delicious foods, live music, and lots of interesting booths. Even though I've been to this event year after year, I haven't gotten tired of going! The location is easy to get to, but once you are in the middle of the resort, it feels like you're so removed from the noise and stress of the world. If I were to sum up the Lavender Festival in two words, it would probably be "pastoral tranquility."